If you haven’t had a chance to see Stephen Ritz on Ted.com you’re truly missing something special — he is a maverick educator, innovator, social entrepreneur, urban farmer and entertainer. Stephen is an incredible person, whose work has been lauded around the globe. 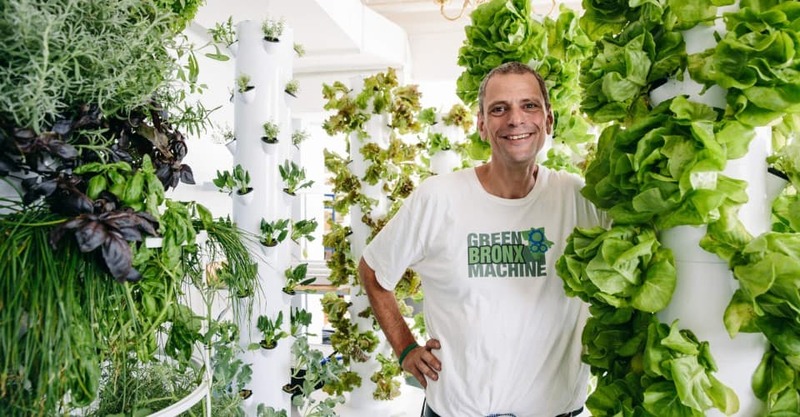 He started as an educator and transformed himself into a man on a mission to push healthy food in the South Bronx, New York City, the poorest Congressional District in the United States. He has been wildly successful and hit a nerve with his students, the school system, the community and throughout America. His Ted Talk received more than 1 million views. As a result, his tireless advocacy for healthy eating in schools and underserved communities has become legendary. He recently wrote a book called The Power of the Plant (Rodale, 2017) and had his work featured again here I recently had the opportunity to do an email interview with Stephen about his work. Diet Detective: Can you tell me about your new book? Stephen Ritz: I’m honored and excited to share the experience, strength and hope I’ve achieved through teaching and gardening in public schools,Beyond my own story, the book highlights how, 50,000 pounds of vegetables later, my favorite crops include organically grown citizens, graduates, members of the middle class, and students who are growing and eating themselves into new spheres of personal and academic success, all of which creates a blueprint for thriving communities. Whether you are a parent, student, teacher or concerned citizen who wants to make a change in your life and / or the lives of others, this book is for you! It is a story of passion, purpose and hope, filled with Sí Se Puede [“Yes, it is possible” or “We can do it!” ] spirit and boundless love and optimism. Diet Detective: If I’m a parent, teacher or the principal of a school, what are 10 specific steps or quick tips I could follow to get a garden for my school? Grow what students want to eat. Keep it small, keep it simple; build small concentric circles of success. Think soil vs. dirt. Soil is a medium for growing, dirt is something that stains clothes and needs to be removed; assess indoor vs. outdoor options; always think about the quality of teaching and the quality of learning—begin with the end in mind. Make your thinking visible to staff and students – assess [and evaluate your work] frequently. Think and fail like a scientist; every interaction is an opportunity for learning. Seeds and children both represent genetic potential. They both need the right conditions to grow and thrive. Create and facilitate joyful learning; there are many jobs in a garden, there is a place for all. Be endlessly resourceful, always work to get to yes, and remember that seeds well planted and tended to will give you a crop of epic proportions. 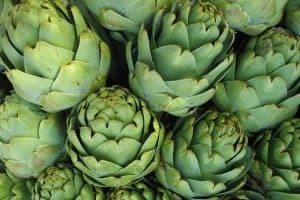 Diet Detective: How did you become a healthy food advocate, and was gardening/farming something that always interested you? Stephen Ritz: No! I got involved with school gardens by mistake, but by absolute necessity. Was I always drawn to gardening? Absolutely not. There’s a part of me that loathes it but loves the results. But at the end of the day, it’s about planting seeds, and my children are my seeds. For me, seeds represent genetic potential, and my goal is to make sure all my students and all my colleagues reach their given genetic potential. To be quite honest, my wife and I lost children, and that tragedy required a redirection of my life, personally and professionally. I wound up working at one of the most dysfunctional high schools in all of New York City, and someone sent my students and me a box of flower bulbs. We didn’t even know what they were. I thought they were onions, but quite frankly, the dean of students in me and the self-preservation in me thought they were projectiles that needed to be hidden, because I had 17 overage and under-credited children, many of them with all sorts of baggage, from being homeless to being in foster care to having special needs to adjudicated youth, and thought that these “projectiles” should be kept as far away from them as possible in order to save my job and save them. So I put them behind a faulty radiator and basically forgot about them. Then one day there was a fight in class and some of the kids went looking behind the radiator for something, and there were hundreds of flowers back there, because the steam from the radiator had forced the bulbs. The boys wanted to give them to the girls and the girls wanted to bring them to their moms. Some kids suggested that we sell them. And that year I think I planted about fifteen thousand daffodil bulbs with gang members across New York City as a beautification project commemorating 9/11. That’s how I learned about gardening. The result of gardening with kids in school—and at that time it was community gardening and ornamental gardening—is that you can turn ugly, unproductive spaces into highly productive, beautiful, aspirational places in the course of just a day, and move kids who have not known success to being a part of success on a daily basis. Kids who were at one point seen as outsiders in their neighborhood were able to become a part of it and add value for all. So gardening is just amazing. And then I learned about food! I learned about vegetables! So we went from ornamental gardening and landscaping to living-wage jobs, because, for my students, gardening represented the opportunity to earn a living-wage and become involved in food justice issues. So I haven’t always been drawn to gardening, but 35,000 pounds of vegetables later, grown with kids in the South Bronx, my favorite crops have become organically grown citizens, graduates, members of the middle class, kids who are going to college, young people who aren’t going to jail, and those who are eating themselves to good health and aspiring to things they never imagined before. How cool is that? The amazing thing about gardening is that a crop well planted can give you a harvest of epic proportions, and that harvest is my students—their health, their families, and their academic outcomes. While I grow vegetables, my vegetables grow students, school performance, and communities, as well as jobs. Diet Detective: Does it matter if it’s a hydroponic garden, a vegetable garden or a hybrid of the two? Stephen Ritz: I am a huge fan of multiple modalities. Children have unique learning styles,and every system and convention has its merits. I believe children thrive when we give them voice and choice along with clearly defined responsibilities and accountability. As long as children are growing – and growing food – I am happy. Stephen Ritz: A cup of coffee, one slice of toast with hummus, two pieces of herring, some cucumber and tomato slices. Stephen Ritz (SR): Lots of vegetables, eggs, herring, pickles and almond butter. Stephen Ritz: My last meal would be focused upon my family, not what I am eating but who I am eating with. Diet Detective: Your favorite food”? Stephen Ritz: Casuela – a Colombian treat – a red bean based stew. I also LOVE Manhattan Clam Chowder. I LOVE soups – a good broth or stock – nothing creamy. Anything my mom makes and Sunday meals at my mother-in-law’s house. Stephen Ritz: As a child I grew up wanting to be a crash-test dummy! I grew up in the age of consumer reports. I was a fascinated by crash-test dummies; they got to break things, crash them and then speak about them and be reassembled – AWESOME! Diet Detective: Grew up in? Stephen Ritz: I grew up in the Bronx, and while I have lived elsewhere, my heart and soul will always be Bronx-based. I’ve lived a thousand lives on the streets of the Bronx! Diet Detective: Background and Education (brief)? Stephen Ritz: I am a lifelong learner with a passion for people, social justice and human and planetary ecology. I have several degrees including two Master’s in Education. That said, I am a child of the world and the world’s oldest sixth grader – forever curious and excited!